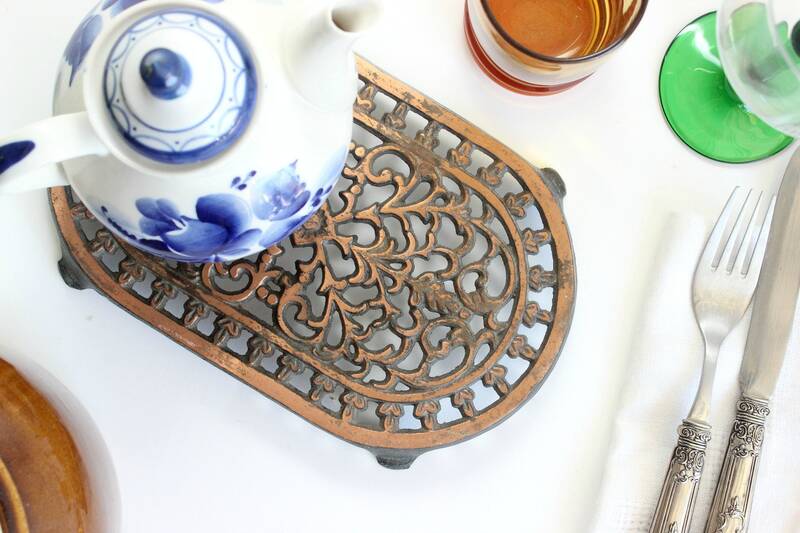 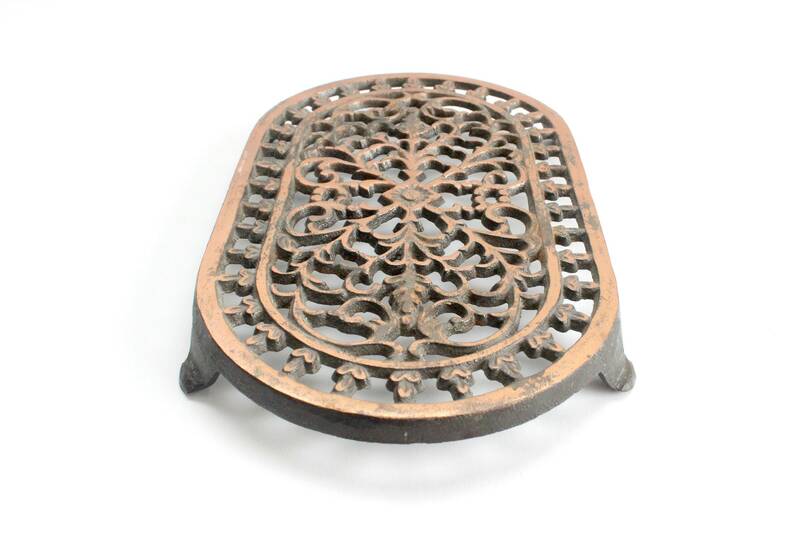 Beautiful vintage iron trivet. 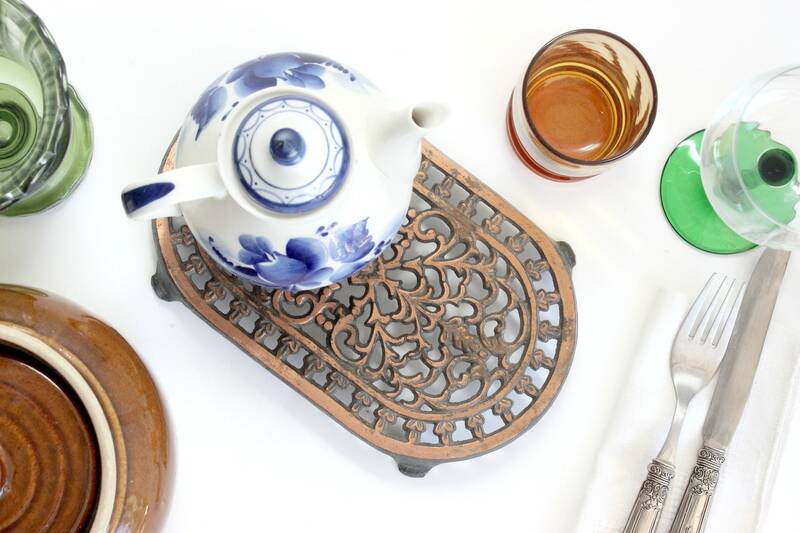 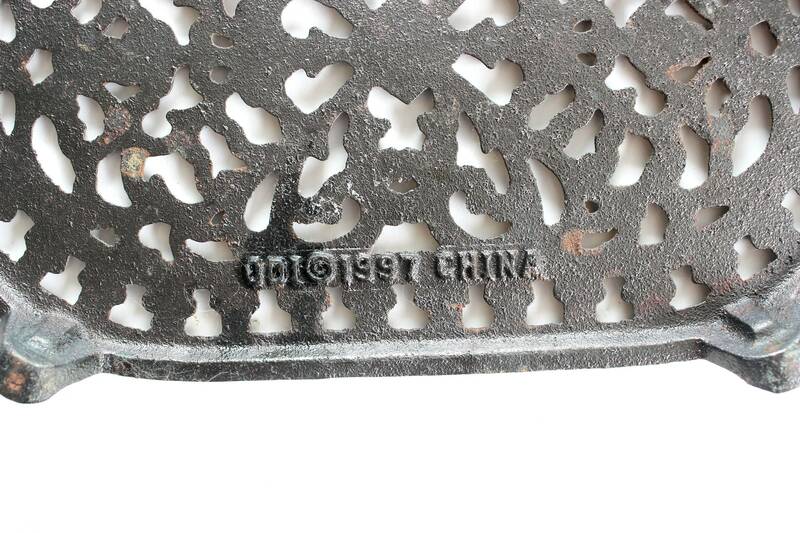 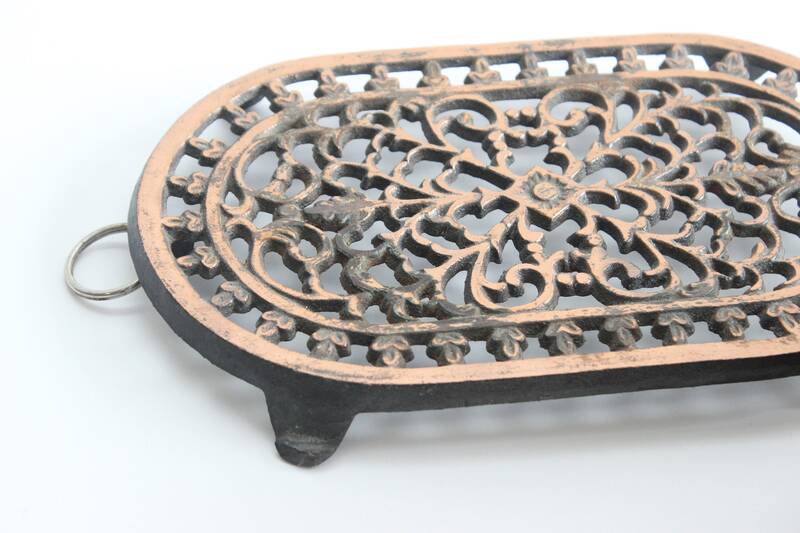 Oval shaped hot plate with a detailed victorian style cut-out design. 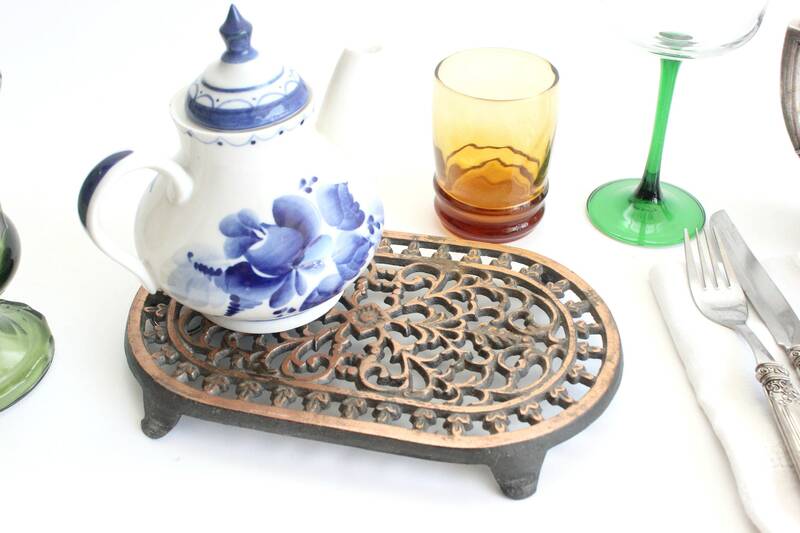 There is a thin copper colored finish on top with a very pretty patina. 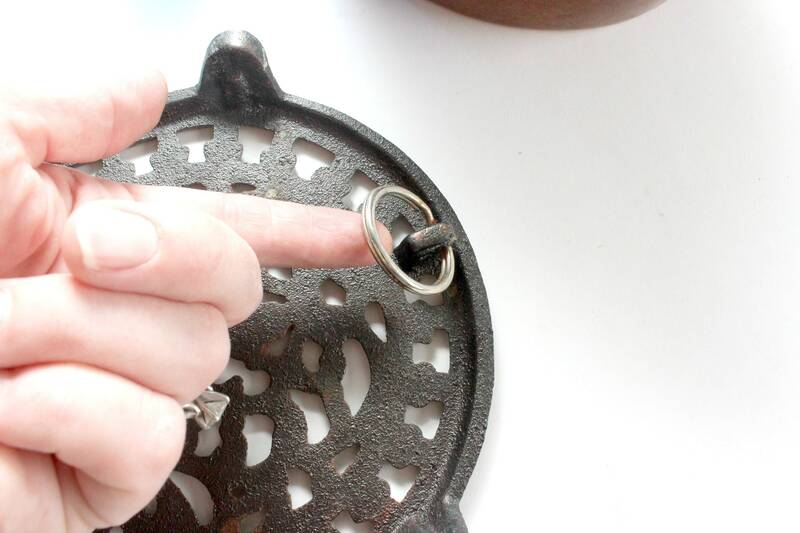 Ring hook on one side for easy hanging. 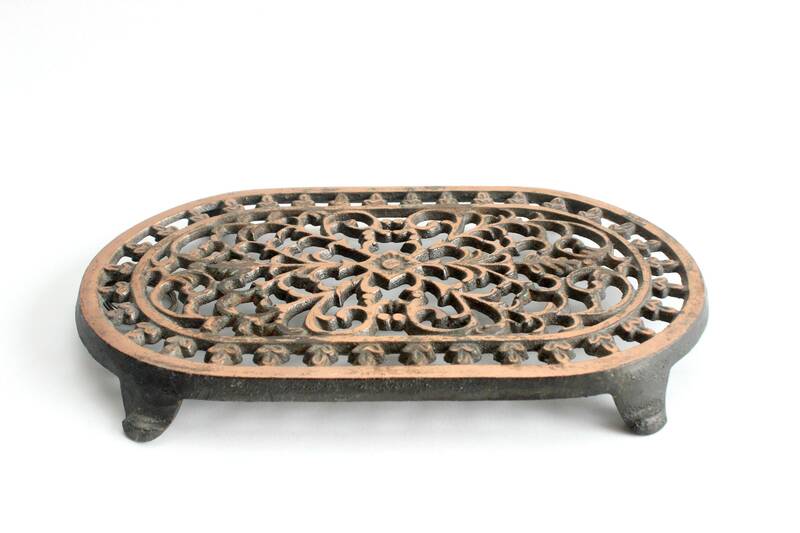 Measures 9.5 inches long, 6 inches wide and 1 inch tall.